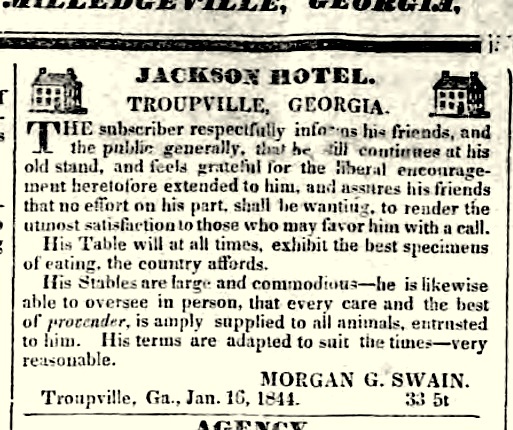 Thank you so much for this information on Morgan G. Swain, who was my 2nd great grandfather. 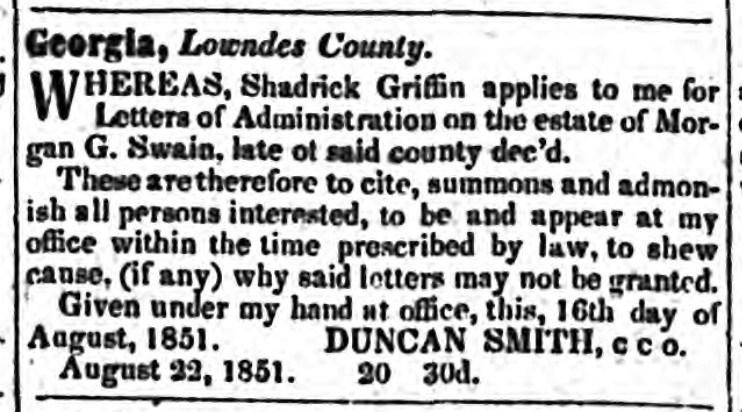 I have searched everywhere for records of his death and why he died at such a young age and where he is buried. It was a great article and I am most appreciative. Good work. 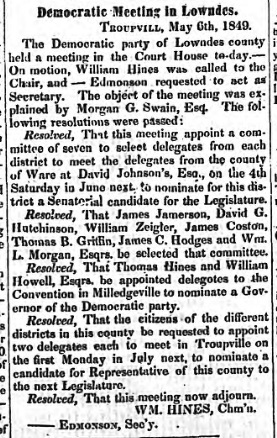 I would also like to say thank you for this information…Morgan G Swain was my 4th great grandfather. I descend from Rev. Joel Wooten Swain and I have his Bible as well as his son John Morgan Swain’s Bible. I have always wondered what the G. stands for. Is it really Goodgame? Also, does anyone have information on Rebecca Griffin as to when she died, where she is buried? 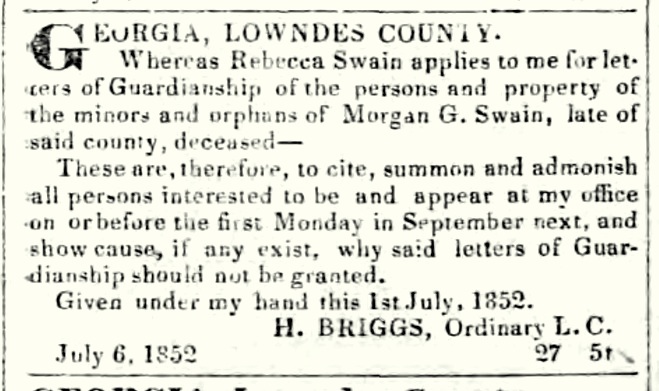 She was the second wife of Morgan G Swain. I welcome any family to contact me. thanks for sharing about your ancestors. 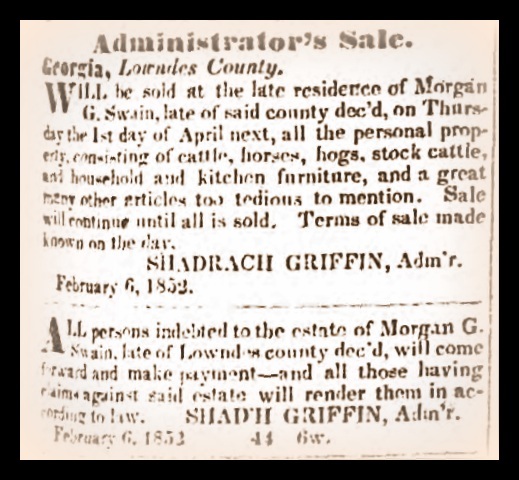 The source for Morgan G. Swain’s middle name is from an article by his grandson Montgomery M. Folsom, who was a popular writer in the late 1800s. 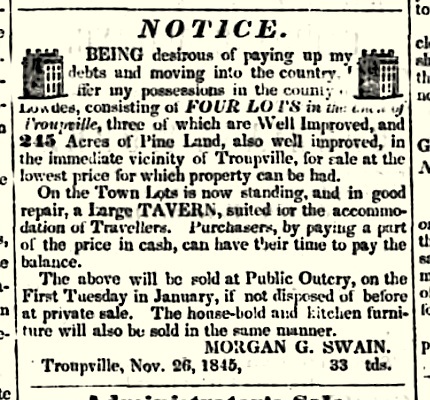 You can read a transcript of the article here https://raycityhistory.wordpress.com/2010/10/18/more-about-troupville-ga-and-the-withlacoochee-river/ M.M. 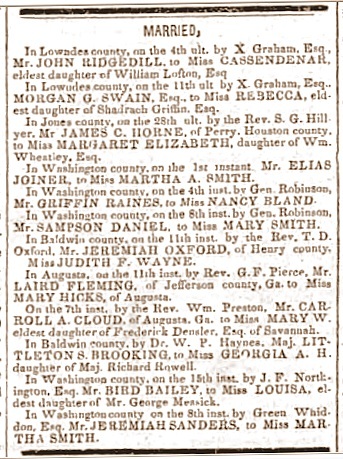 Folsom was born six years after Swain died, but no doubt heard many tales of his grandfather’s exploits from his family.